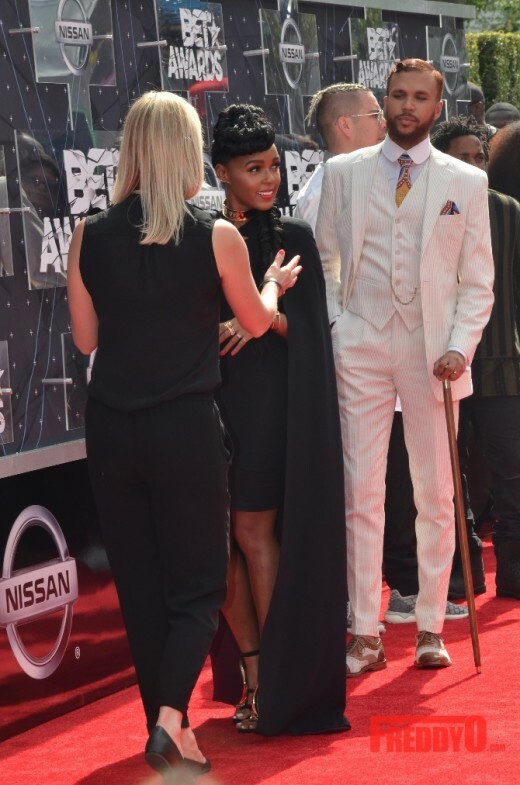 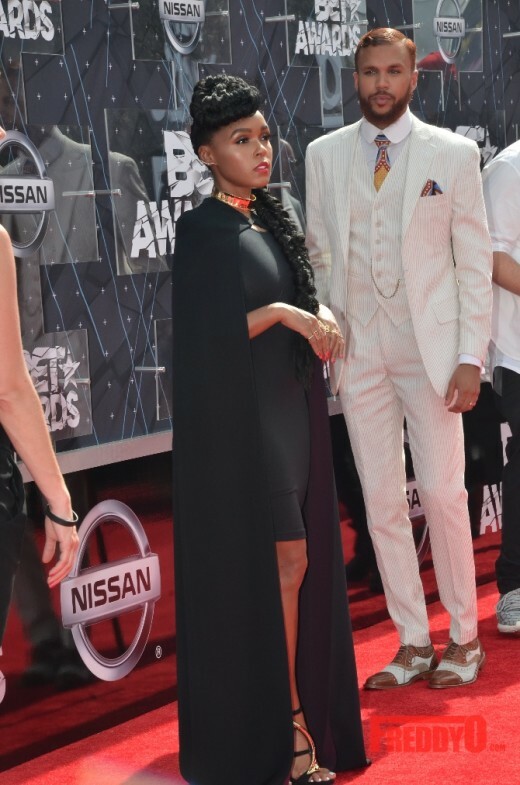 Detroit rapper Dej Loaf was all glamour on the 2015 BET Awards red carpet. 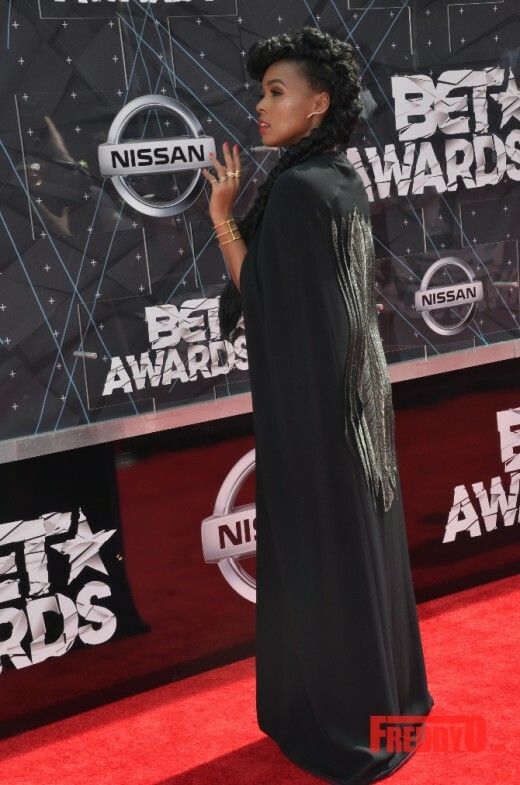 Her debut chart topping single “Try Me” went gold this year and her latest cut “Me U & Hennessy” is a fan favorite! 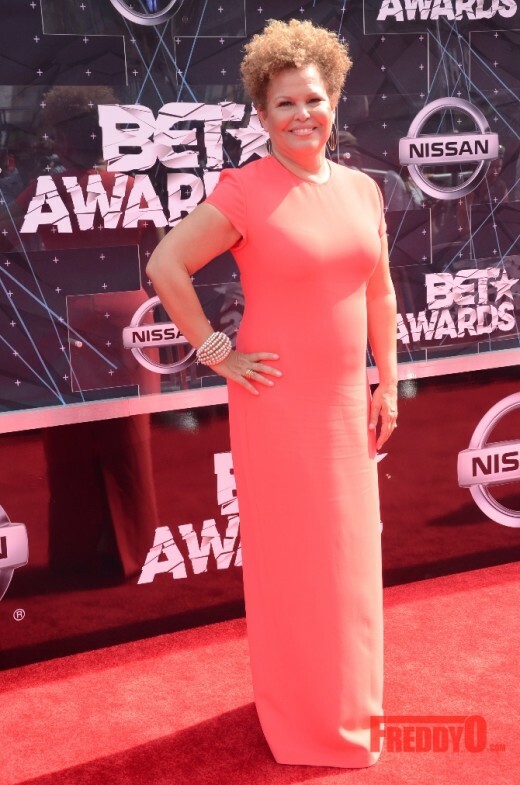 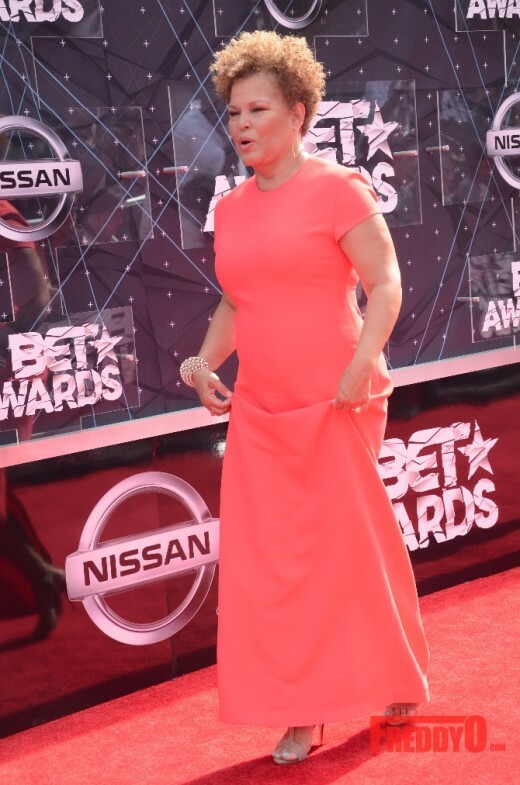 BET CEO Debra Lee was a vision in peach at last nights 2015 BET Awards. 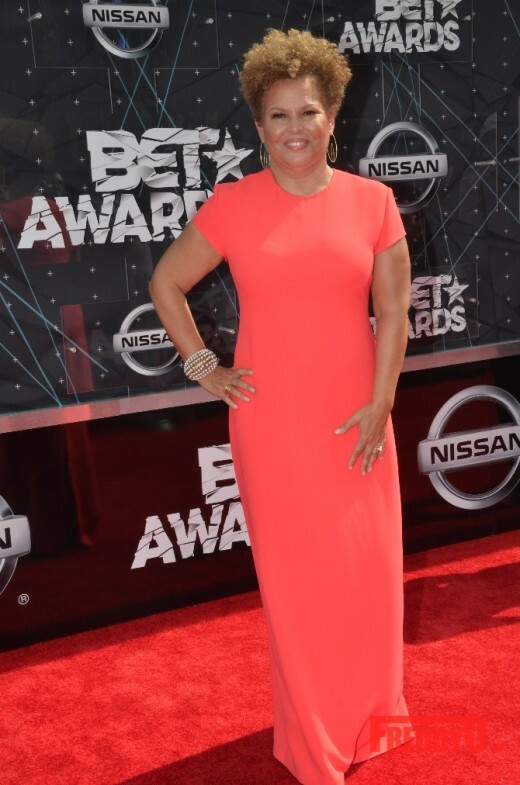 She presented radio host Tom Joyner with the Humanitarian Award at last nights star studded event. 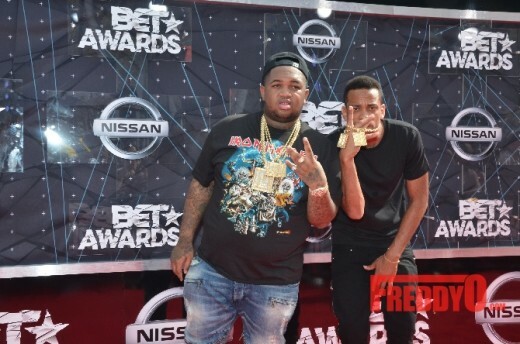 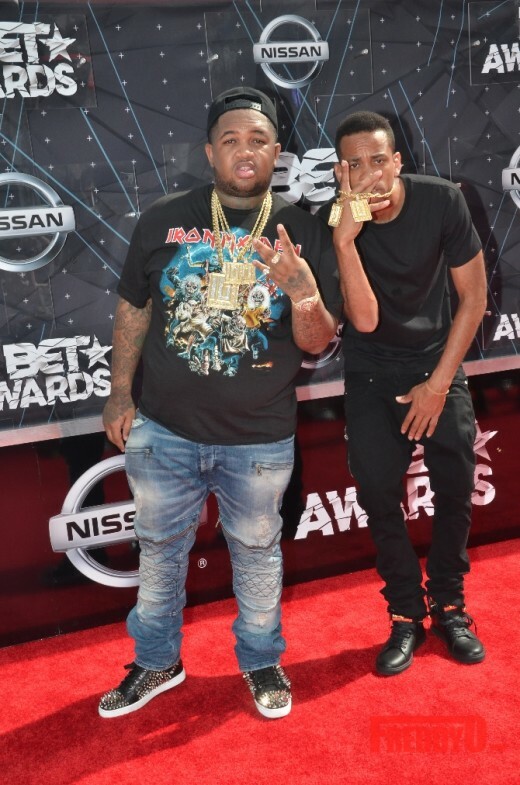 West coast producer DJ Mustard also hit the red carpet. 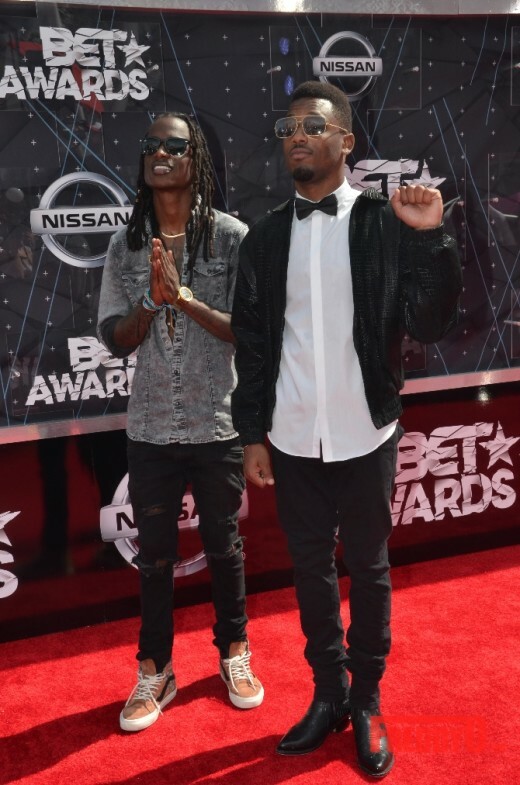 Big Sean and Omarion performed songs produced by the young talent last night. 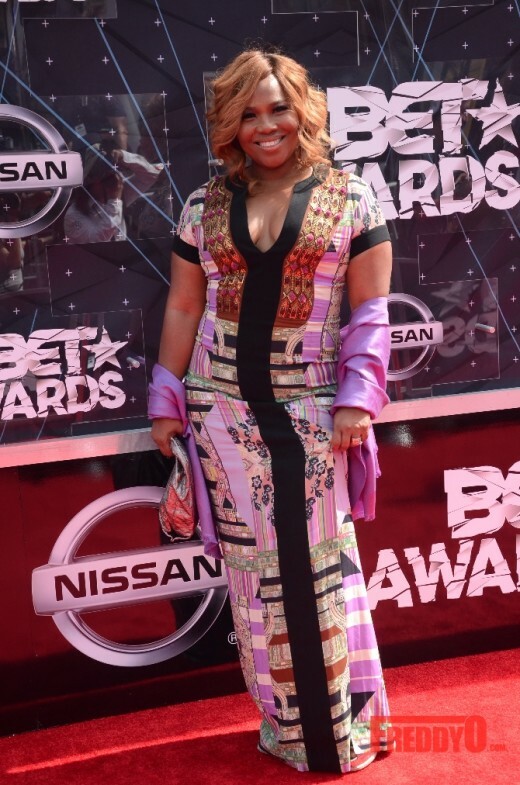 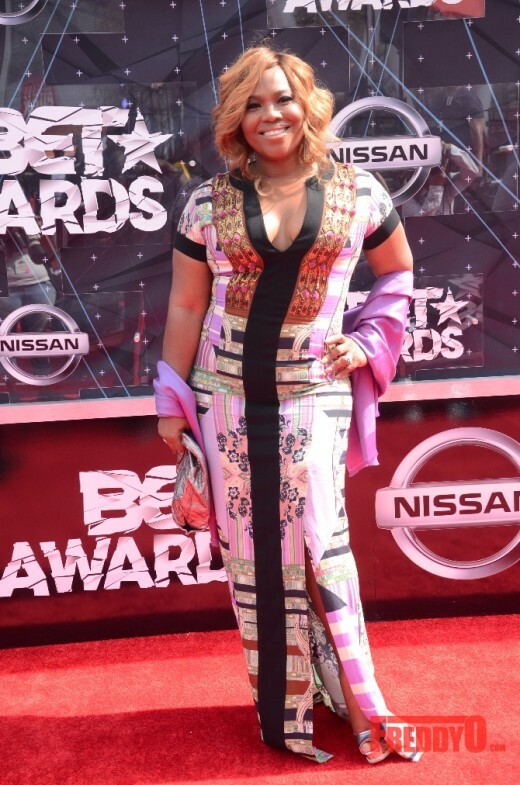 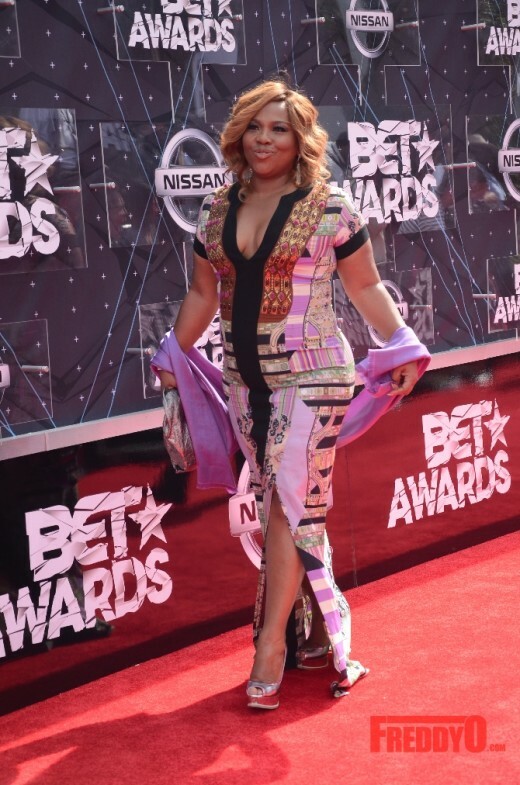 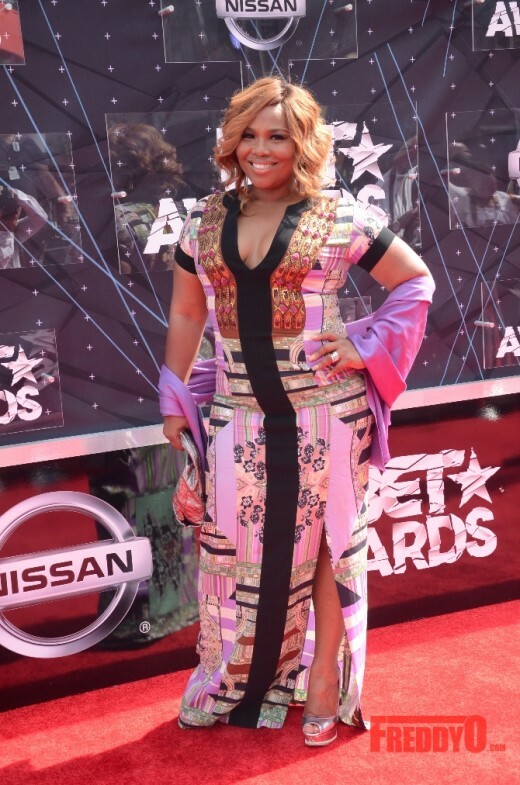 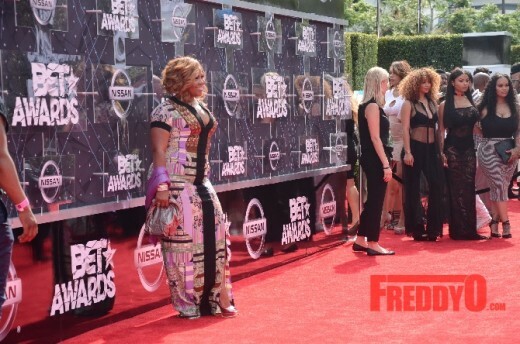 Love and Hip Hop creator Mona Scott Young walked the 2015 BET Awards red carpet last night. 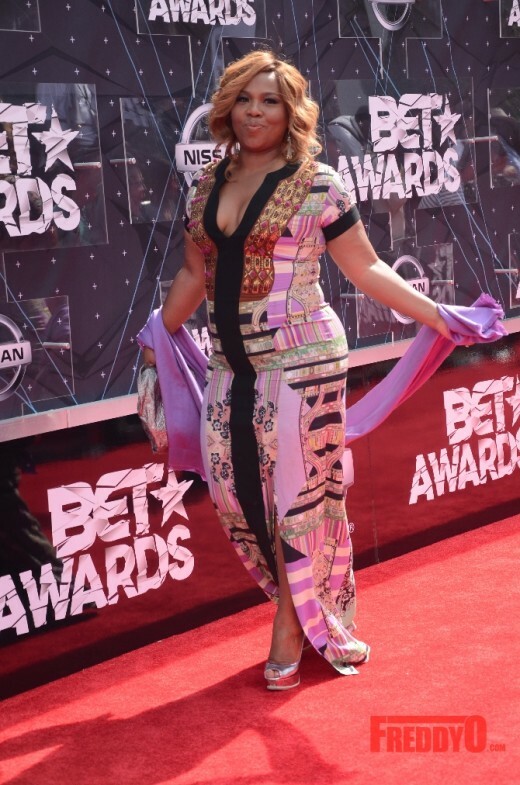 The Monami Entertainment CEO looked absolutely beautiful in a long lavender dress. 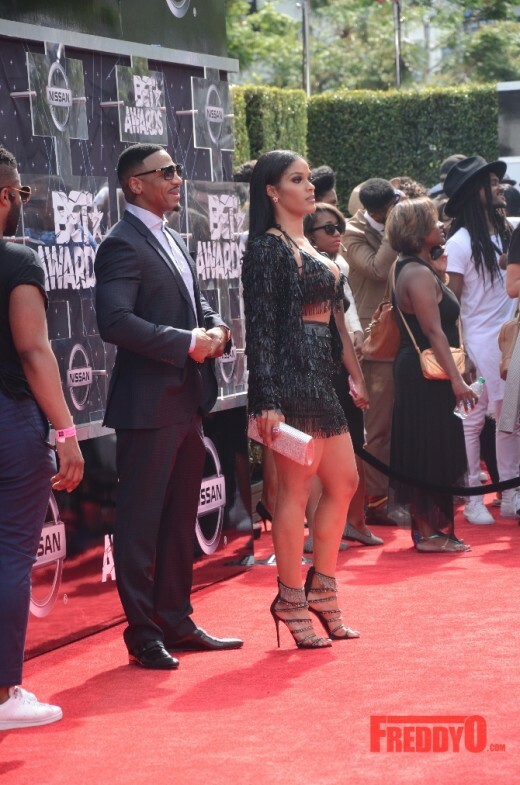 Love and Hip Hop Atlanta couple Stevie J and Joseline Hernandez were all smiles on the red carpet in LA. 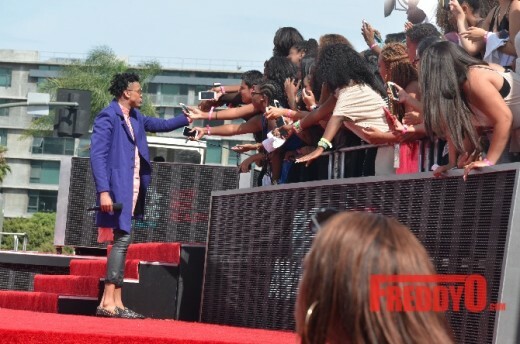 The Puerto Rican princess was all style as usual in her black mini suit. 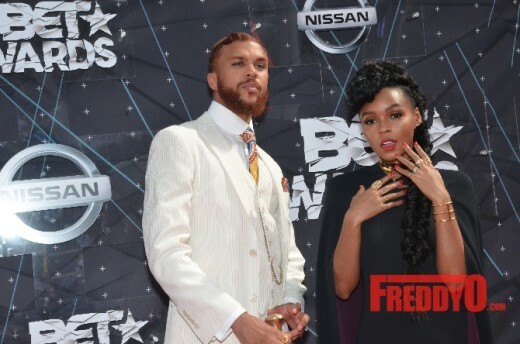 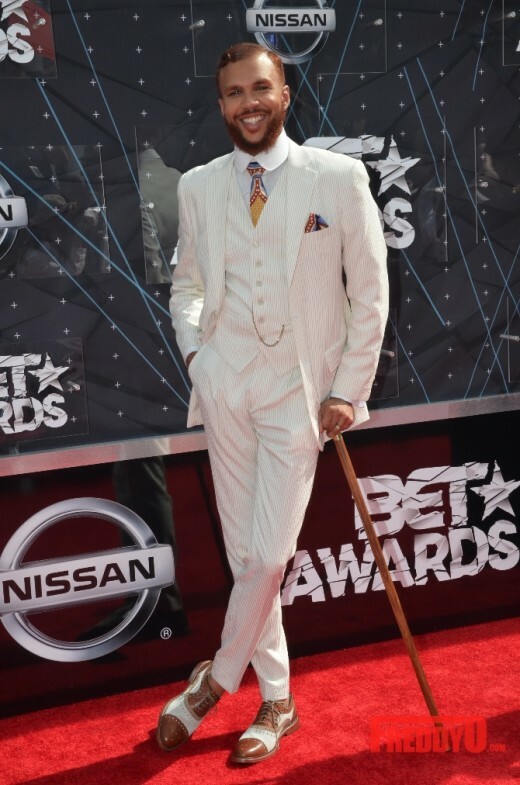 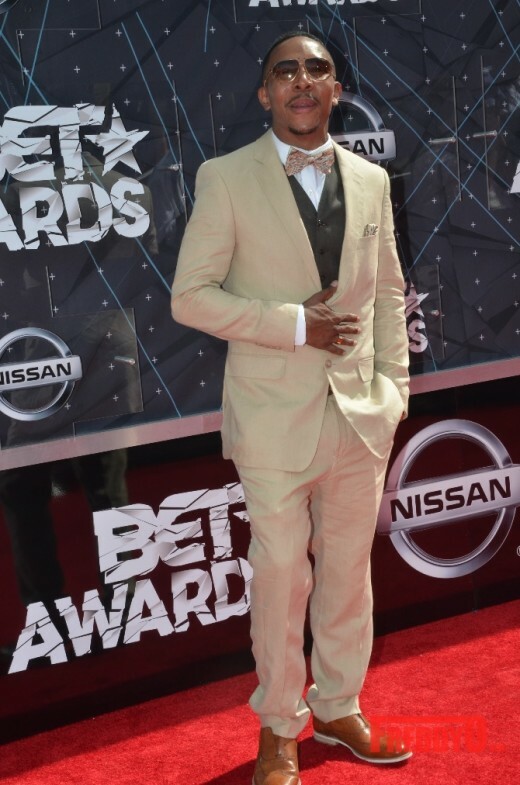 Classic Man singer Jidenna was the sharpest man on the 2015 BET Awards Red Carpet in a slightly off white pin striped suit. 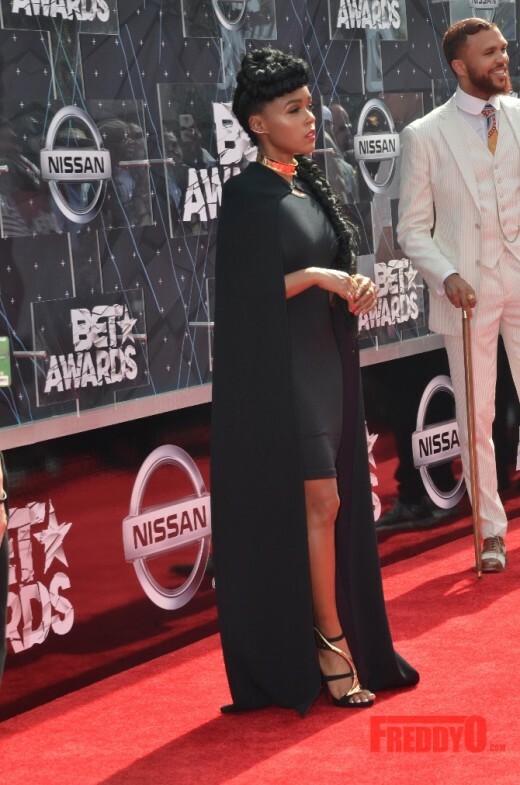 His boss lady, Janelle Monae was equally stylish in a knee length black dress with cape to match. 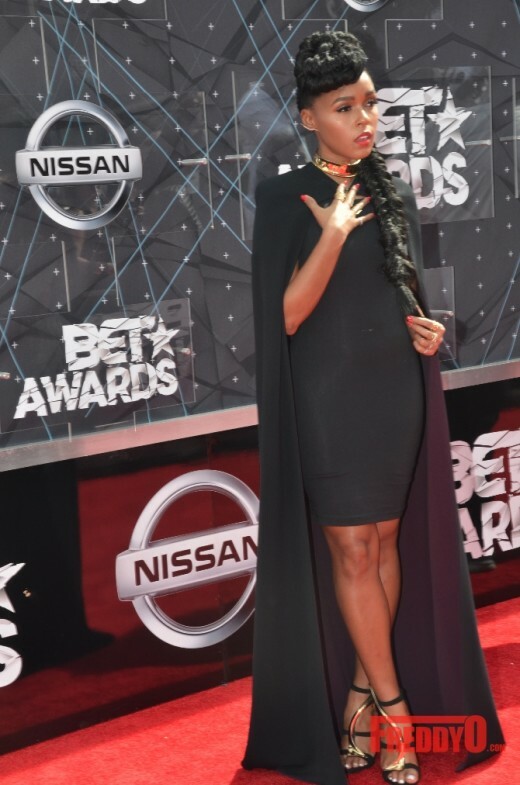 Destiny’s Child group member Michelle Williams was a vision in green on the 2015 BET Awards red carpet. 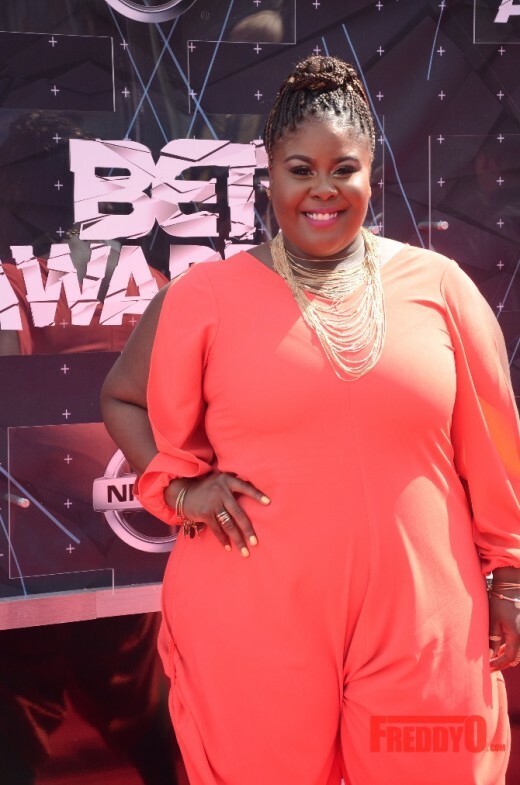 The singer just performed her hit single “Say Yes” at The Gospel Tradition: In Performance at the White House last Friday. 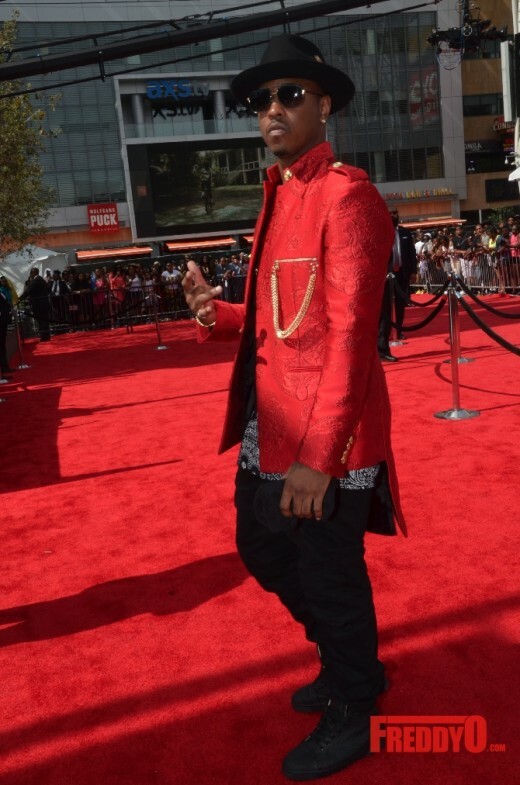 Atlanta rapper B.o.B. 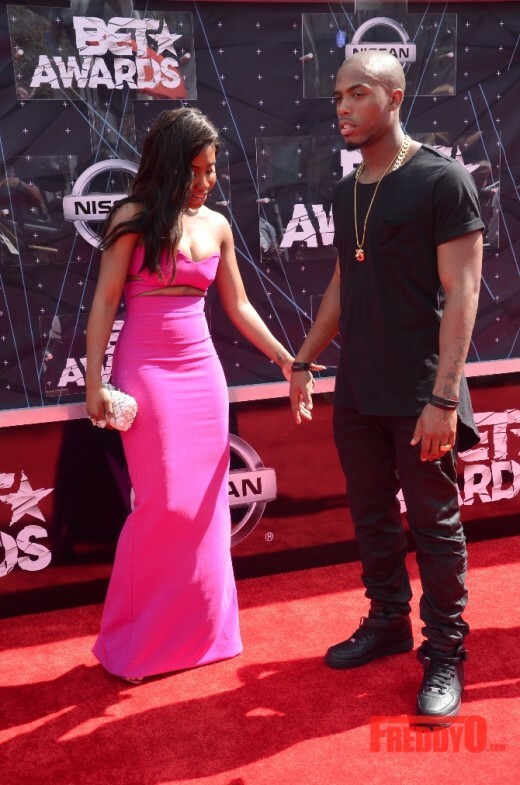 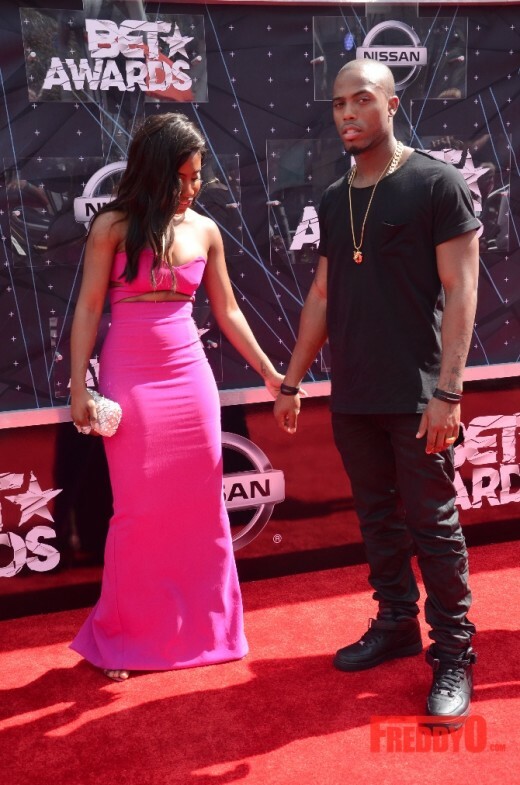 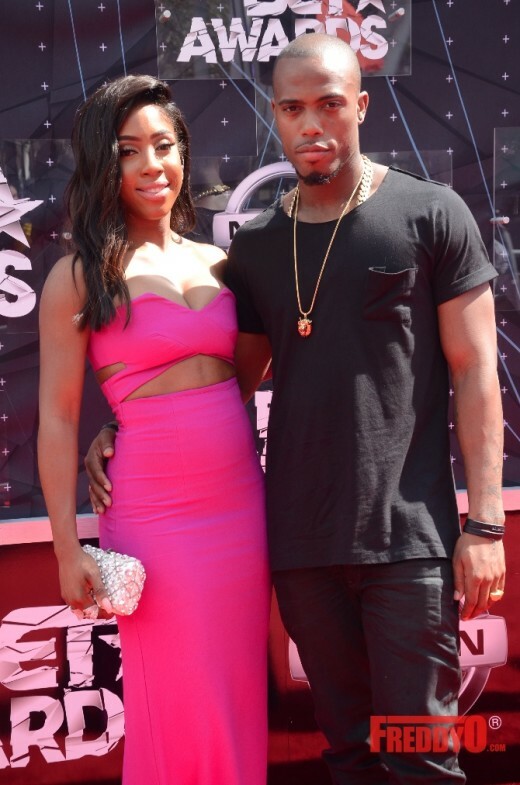 and his new girlfriend Sevyn Streeter hit the red carpet together hand in hand. 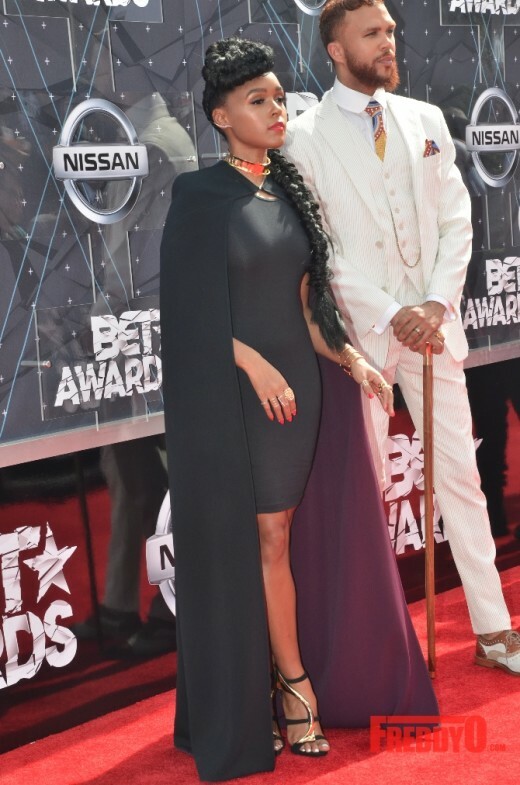 The couple has been really cozy lately. 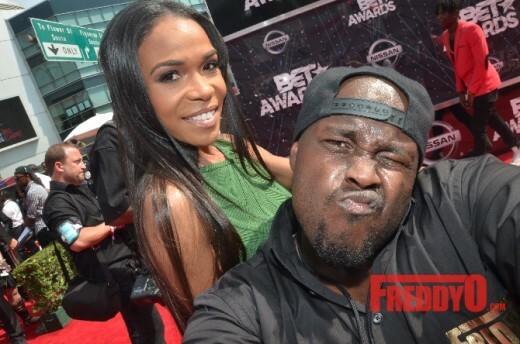 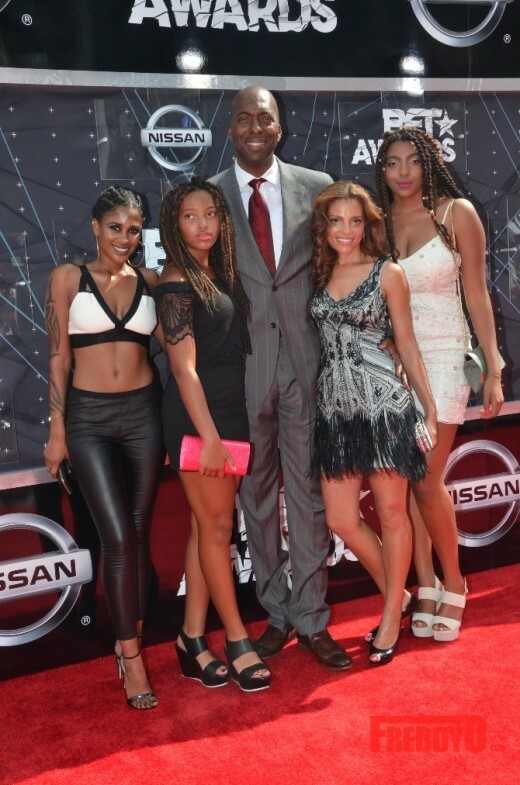 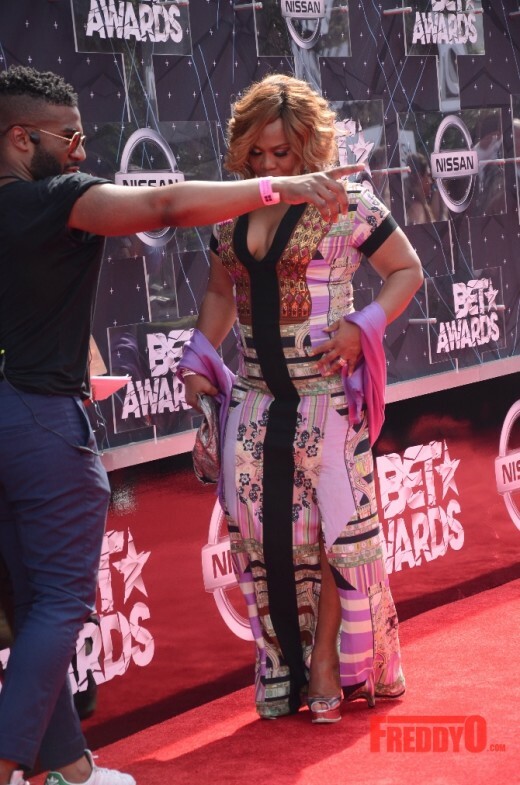 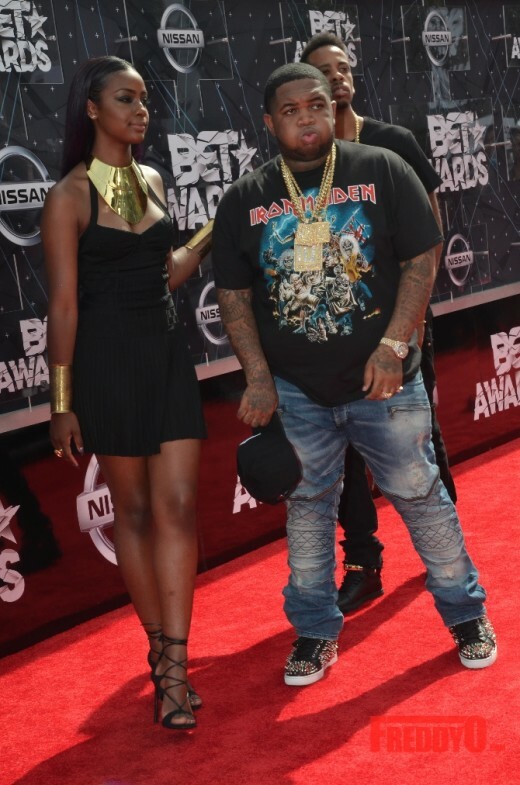 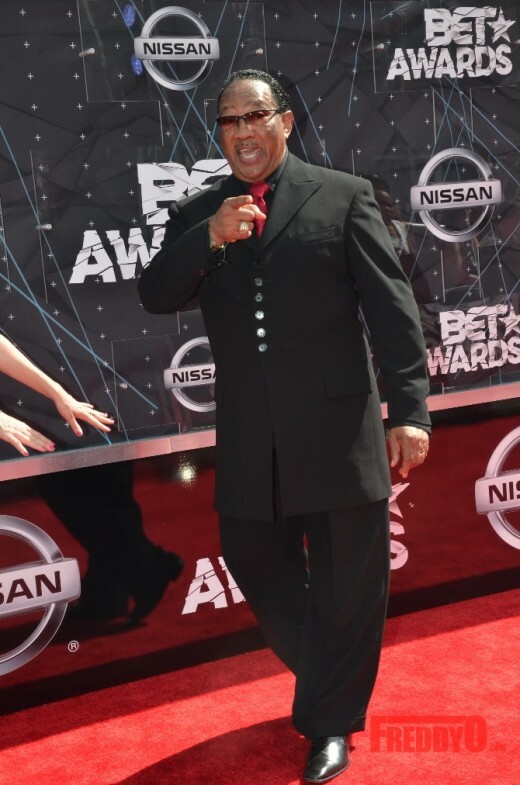 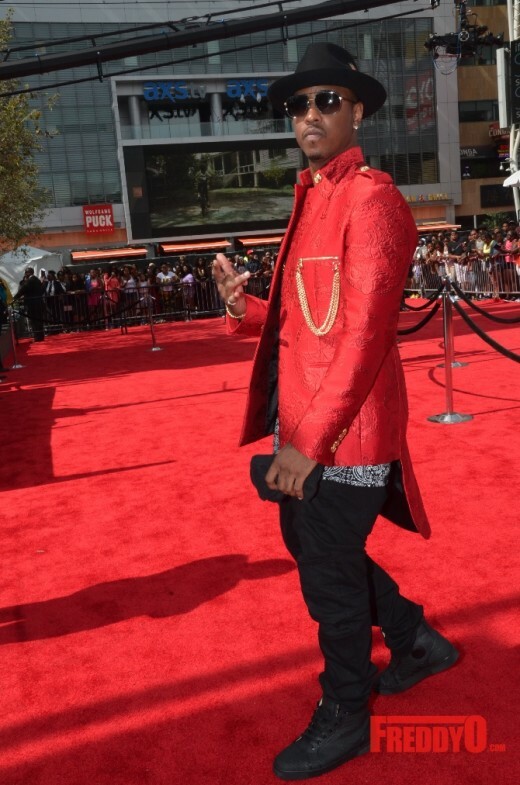 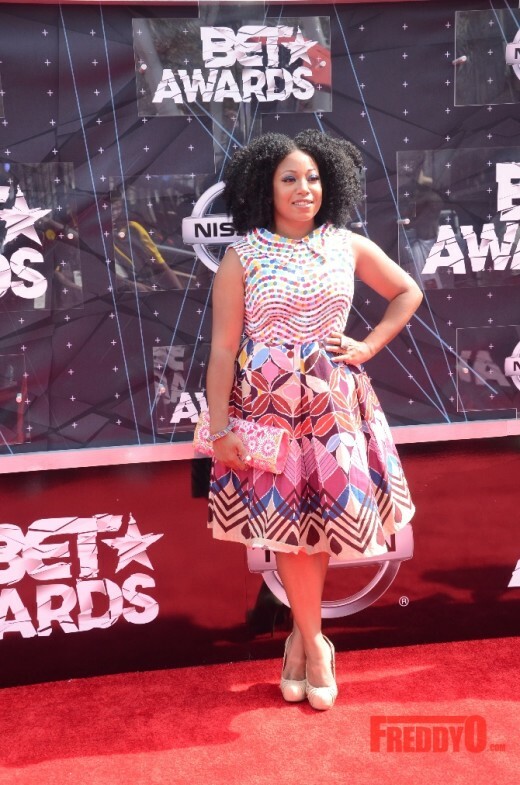 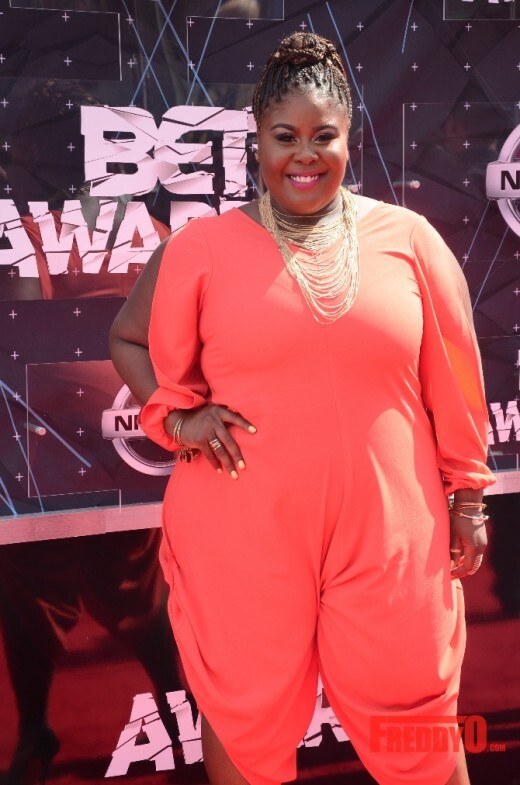 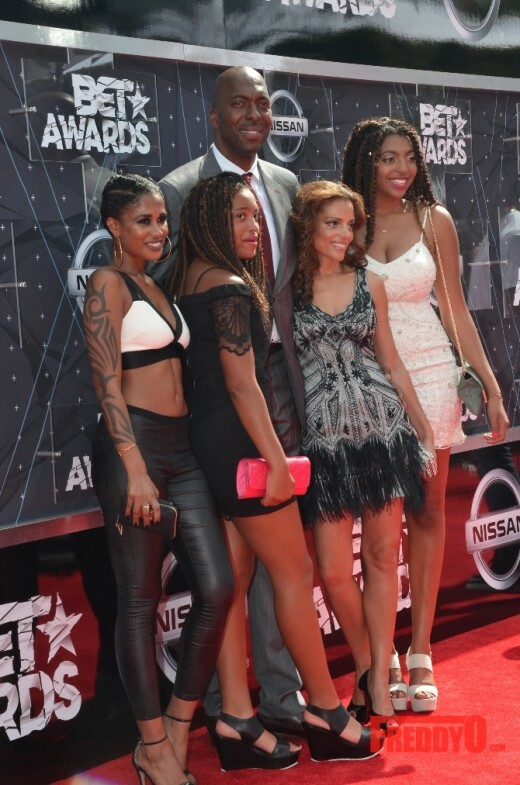 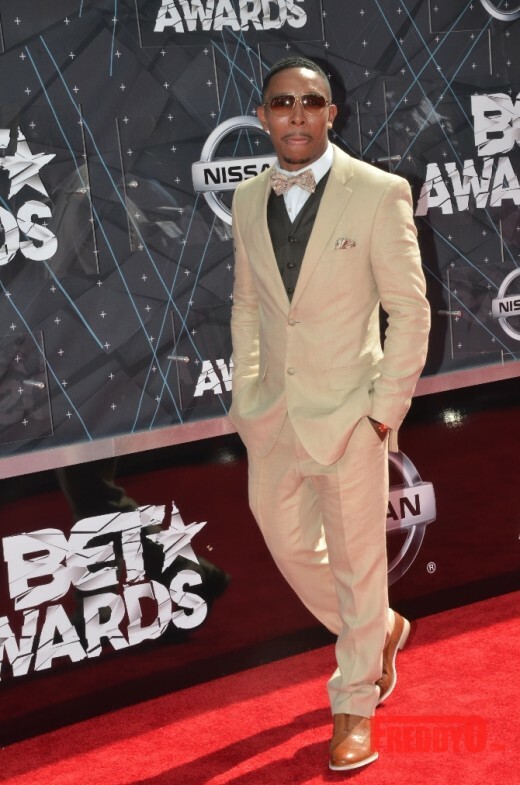 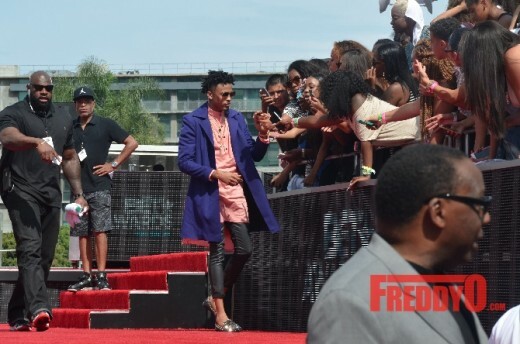 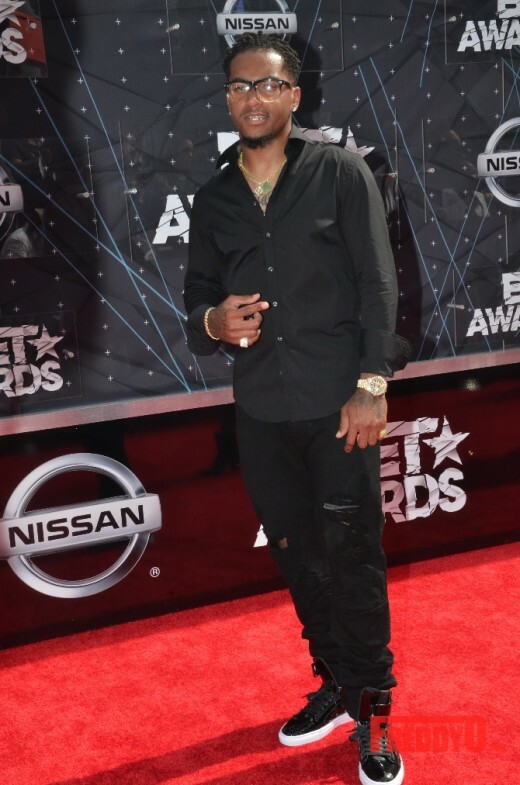 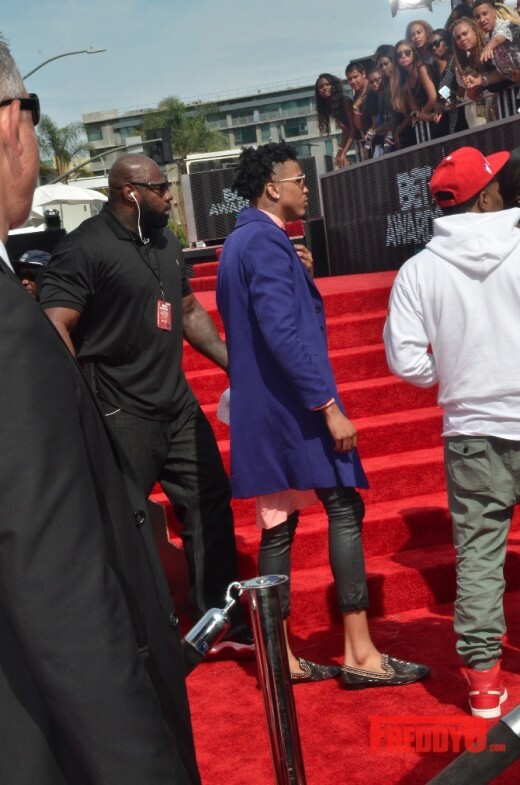 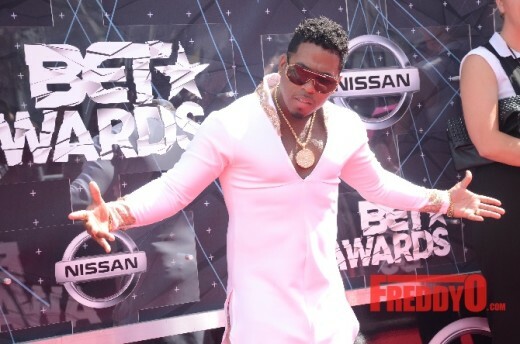 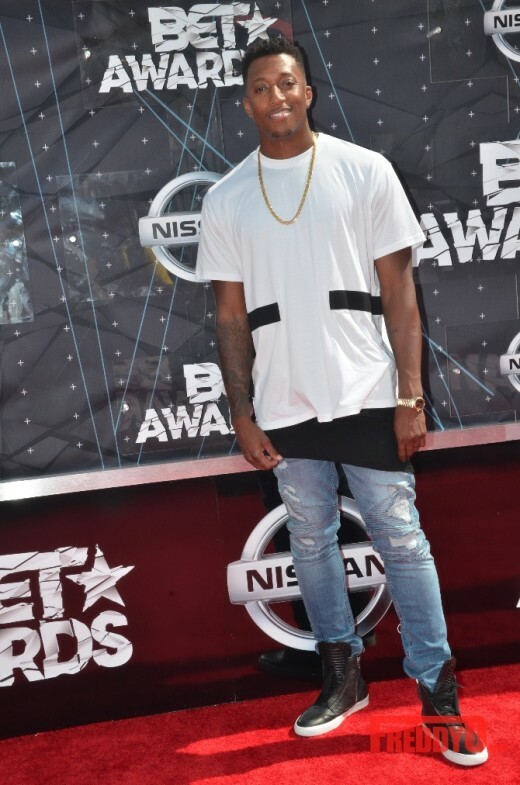 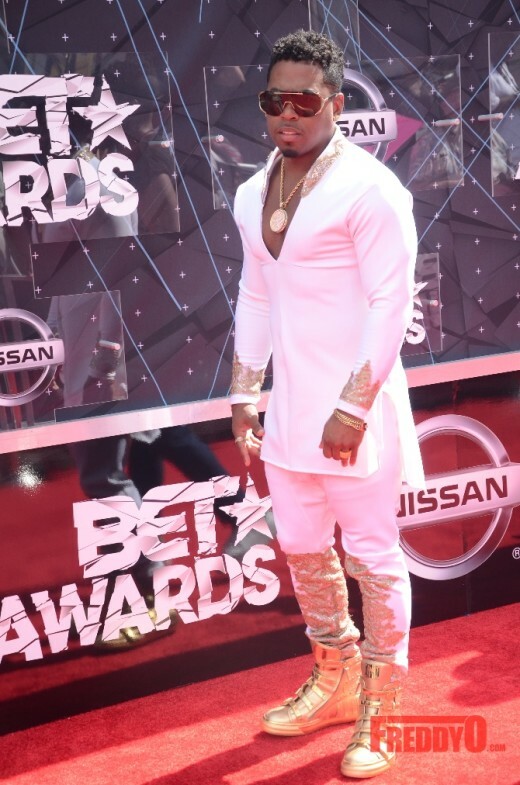 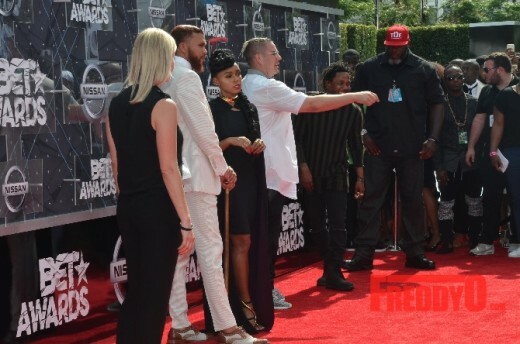 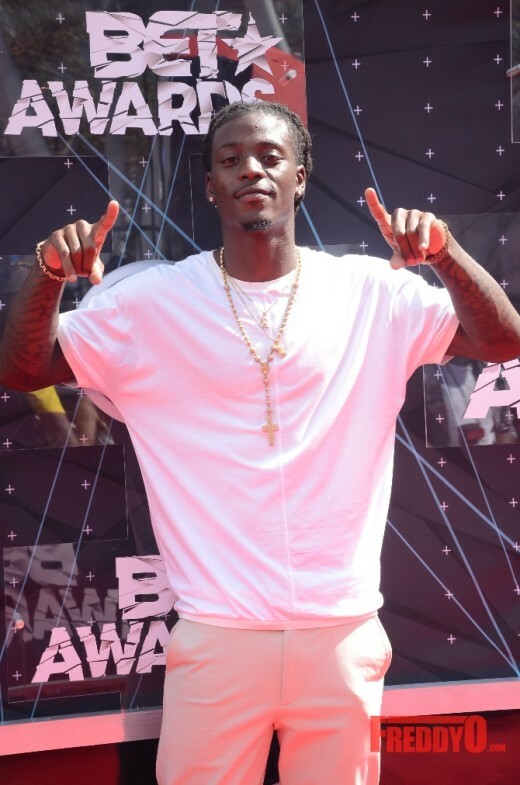 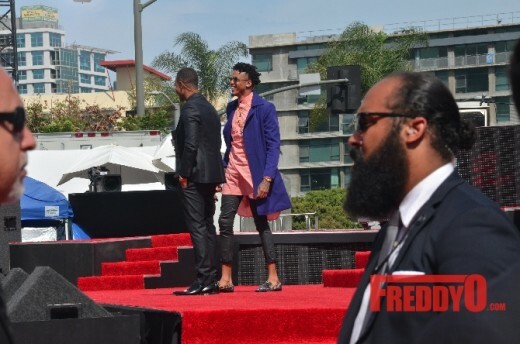 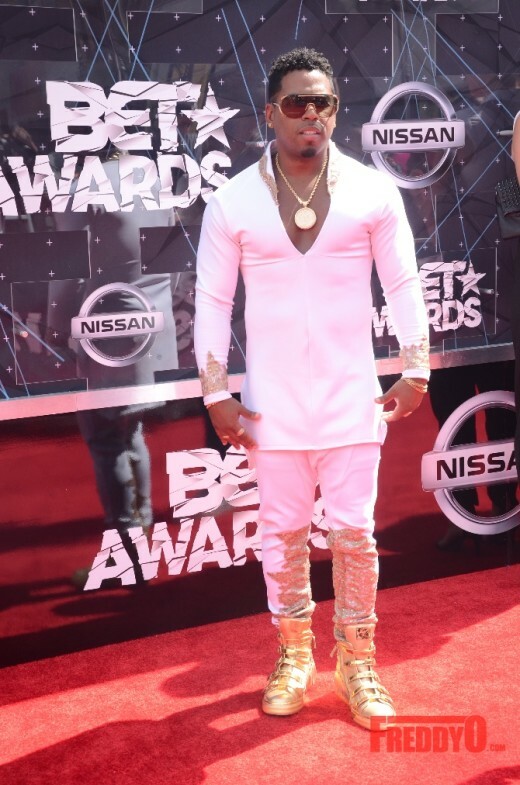 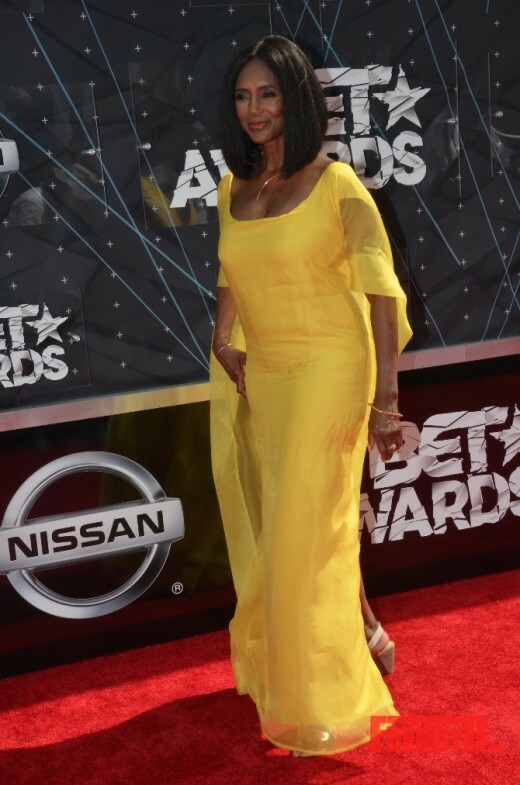 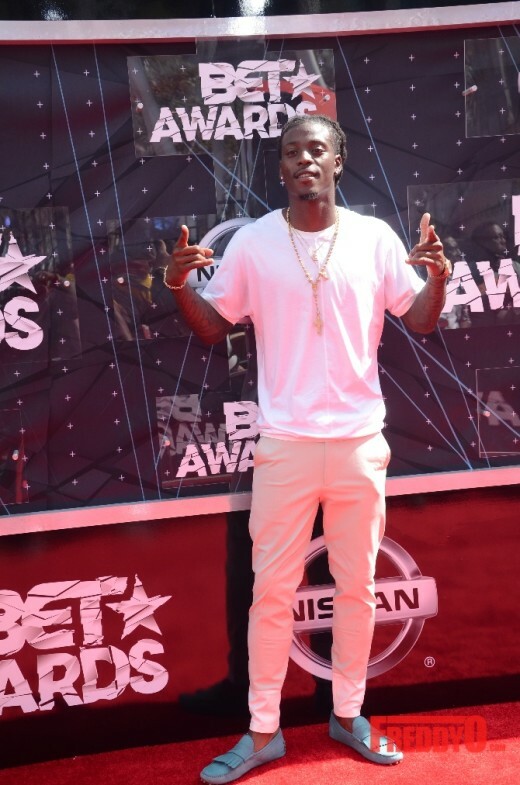 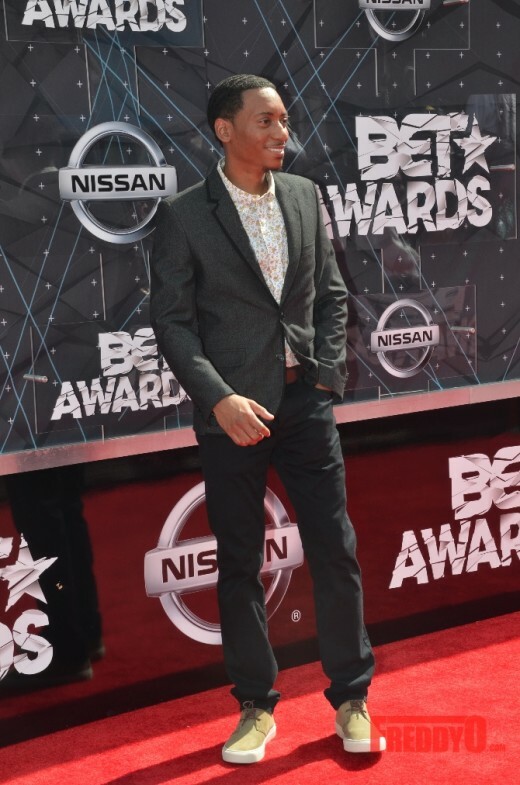 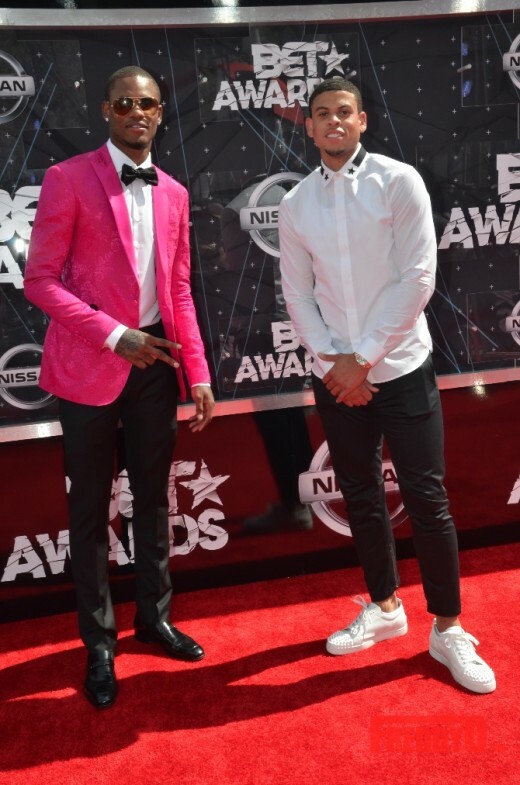 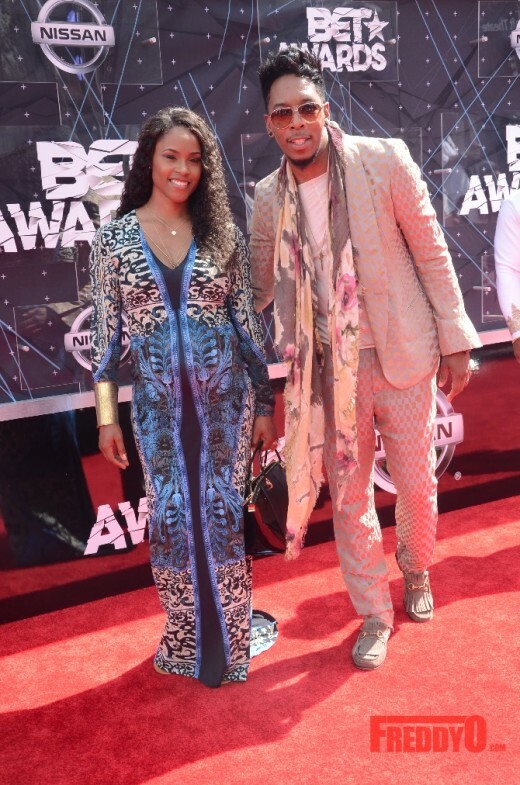 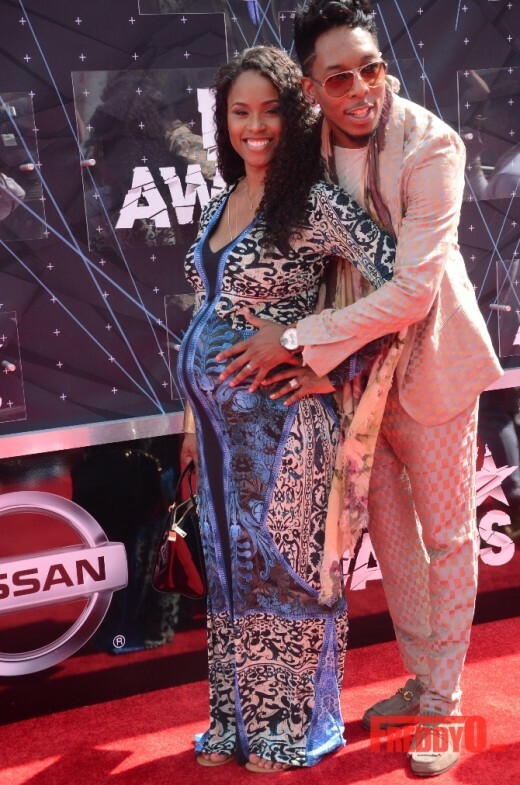 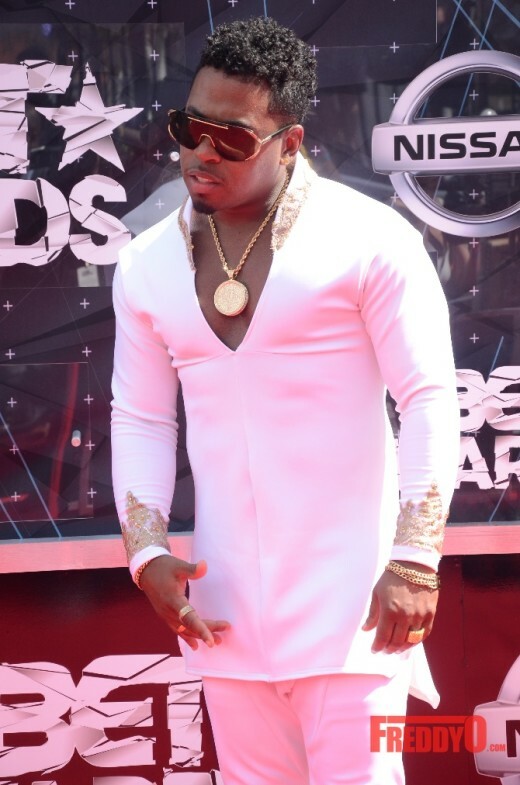 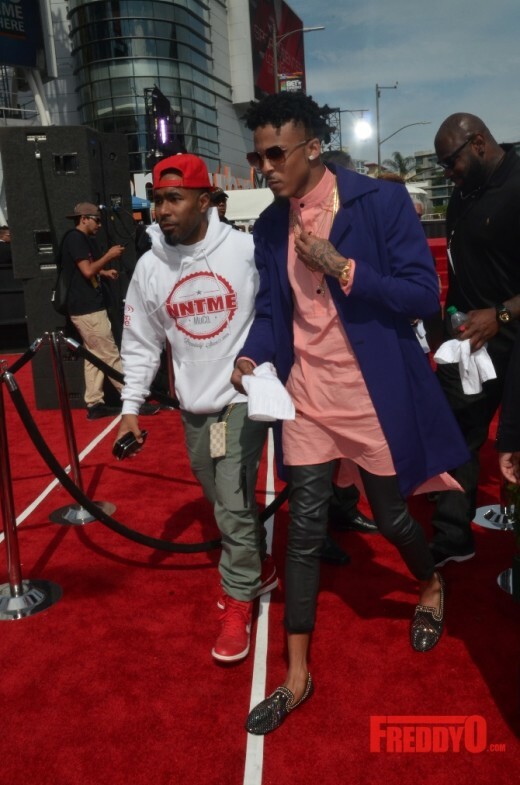 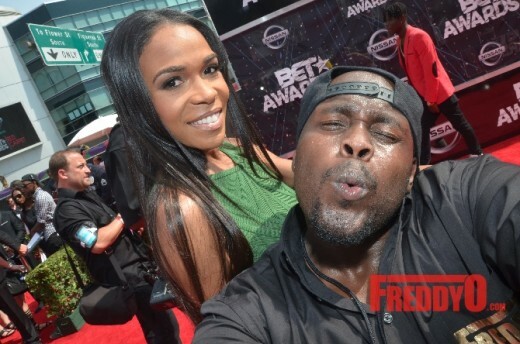 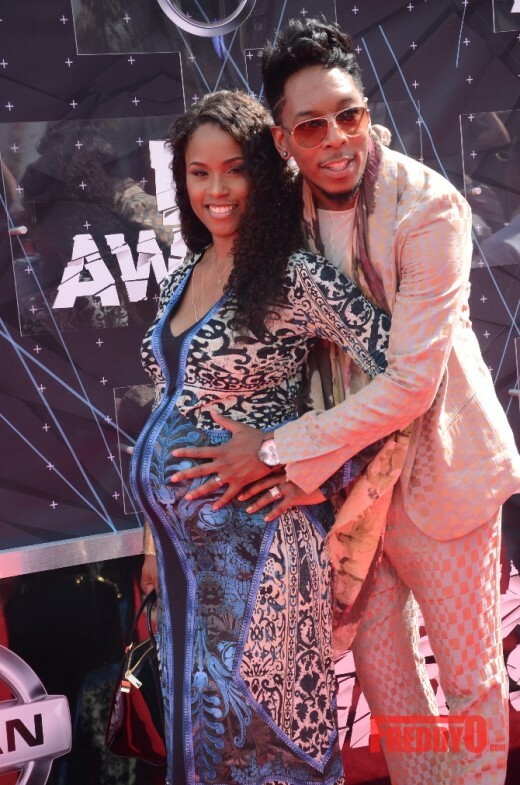 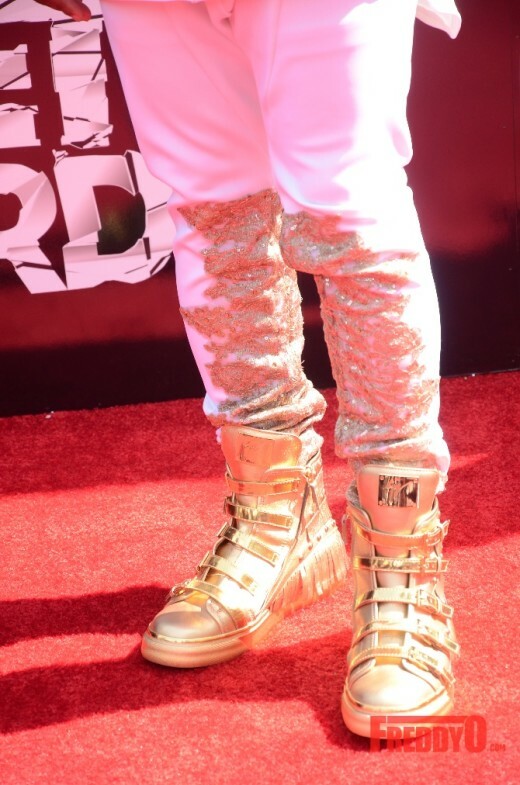 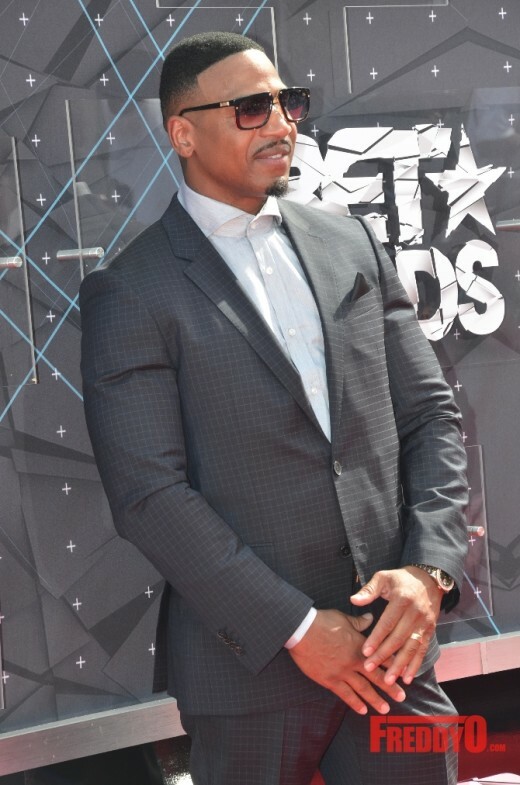 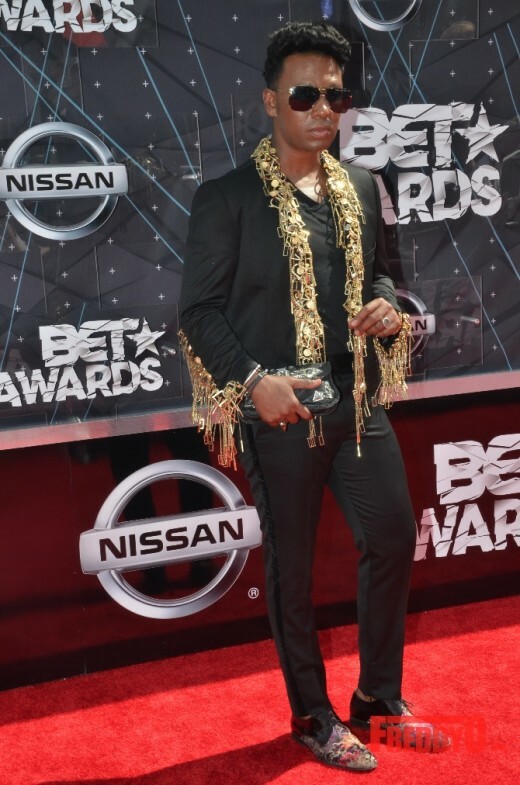 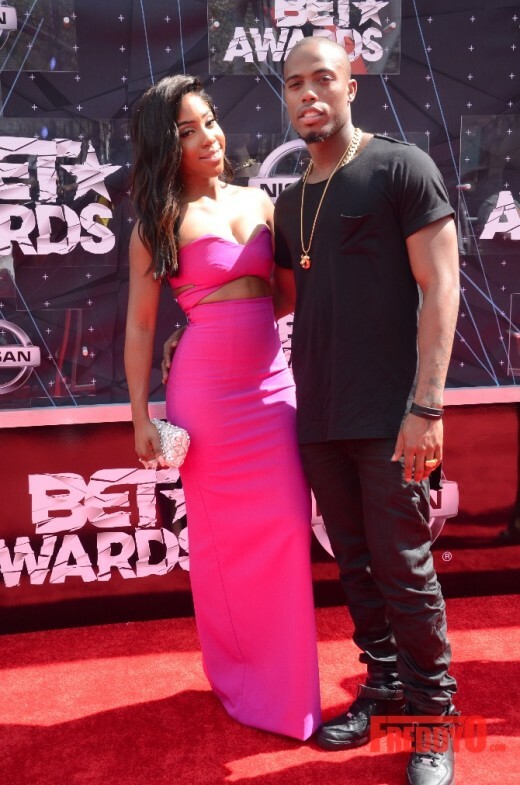 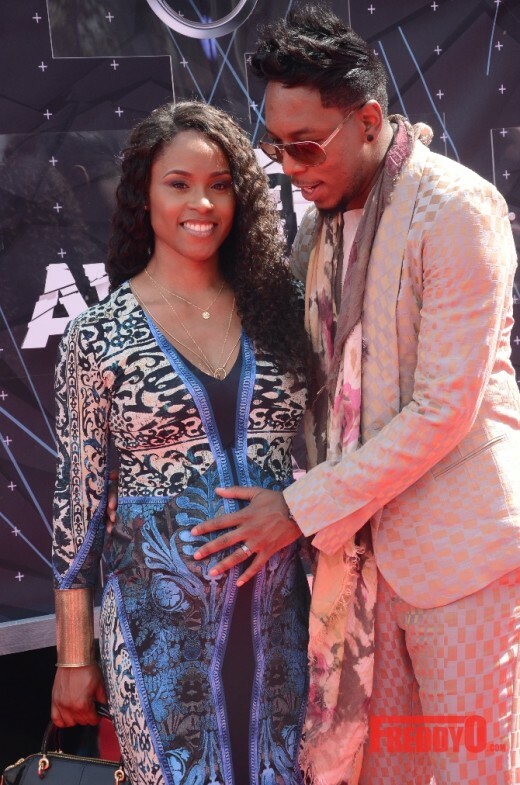 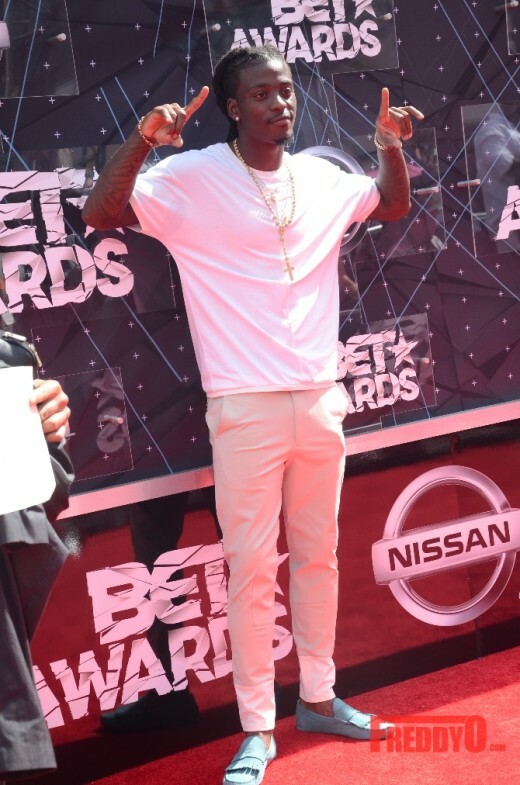 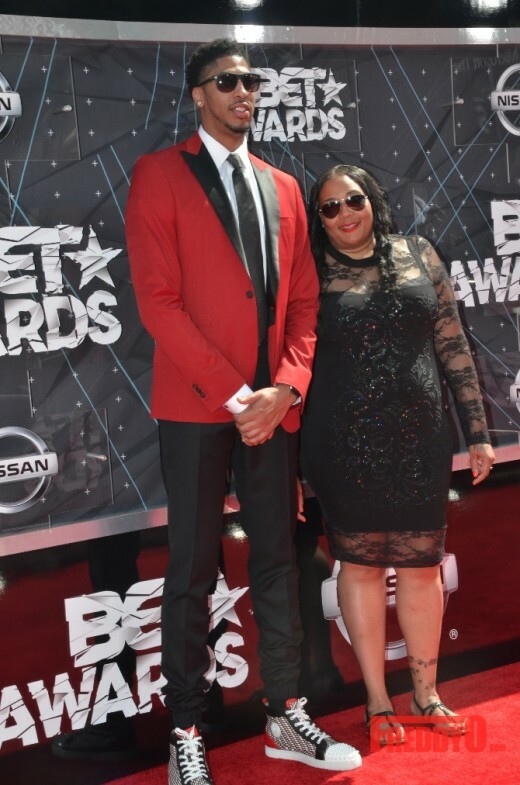 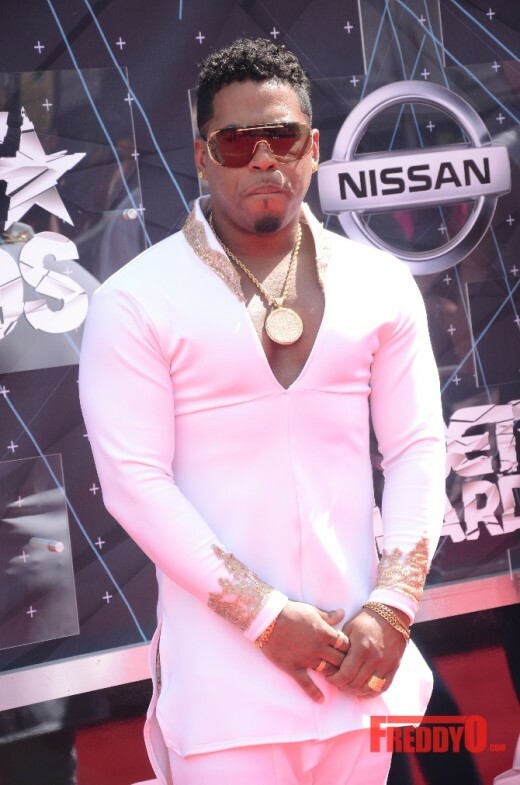 See more pics from the 2015 BET Awards Red Carpet below. 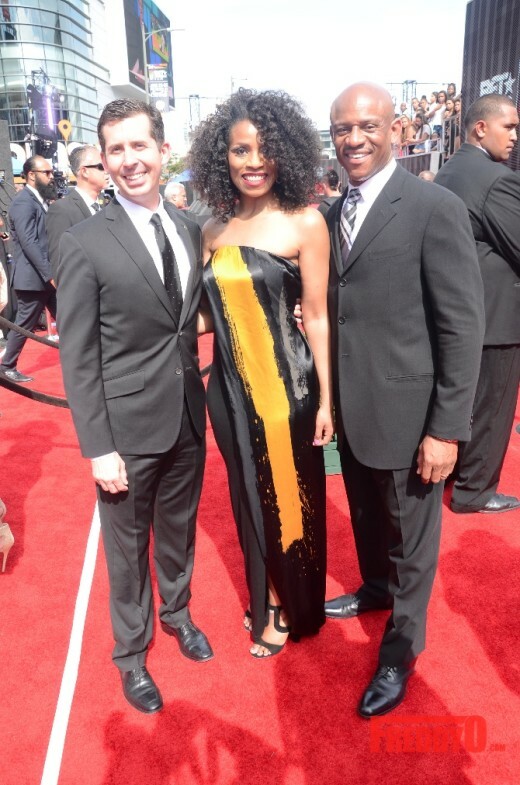 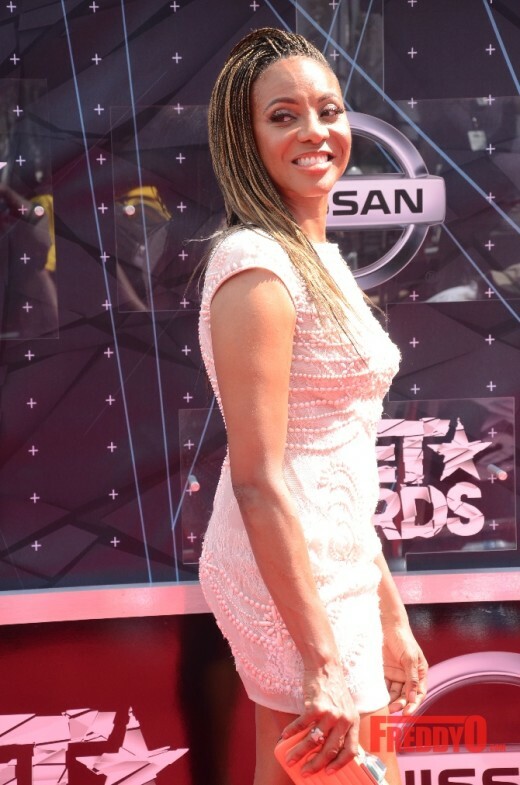 Hip Hop icon and BET Awards announcer MC Lyte seems to have found the fountain of youth! 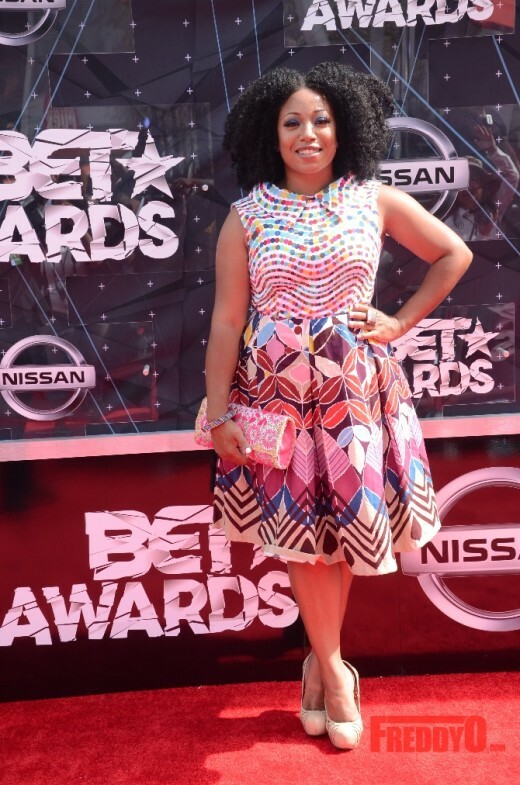 The old school rapper pulled off this beaded mini dress like a model!